Imagine the perfect wine and retail experience. We did…and now we’ve created it at Vini e Capricci. A gourmet food and wine shop where you can sample wines and food every day…and then shop! 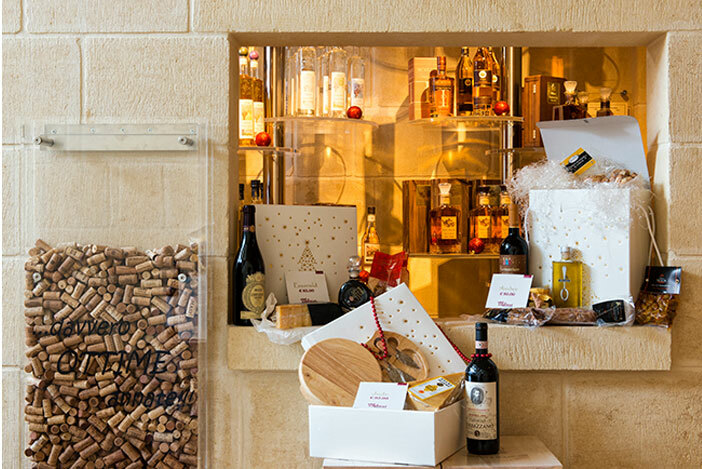 One side of our business caters to tasting and trying new wines, offering the best chocolates and carrying very unique gifts. The other side strives to be everything our customers expect, honest, hardworking, “fun to be around”, knowledgeable and we promise to provide the best customer service. The Wine Room is always open offering current release and new arrival wines. We will tell you what we’re excited about, direct you to something yummy and answer any questions. We love to encourage you to try something new! Apart from trying new wines and food, we also love to educate our customers about the products that we sell, and how best to serve them, to this aim we also organise seminars, theme events and even wine tours aboard. The Hall is a striking, high specification, modern room located on top of Vini e Capricci store. Whether you are planning a conference, small meeting, training session or seminar our range of modern facilities in a convenient location can meet your needs. The Hall can accommodate up to 100 delegates standing and 62 seated, with facilities for film, sound and video presentation. This, combined with a team of onsite technical expertise, ensures world-class delivery. We offer extremely flexible catering arrangements for conferences. Coffee and tea, with biscuits or cakes, can be served in the hall or a cold buffet lunch. Various menus are available on request, food preparation is all done in The Hall kitchen and you can even watch our chefs on the TV screens. We pride ourselves on the highest level of service, always attentive without being intrusive. Your conference and event will have a dedicated manager who will be involved from the first meeting and will be drawn from our highly-qualified team to ensure that your event is a complete success.